It can support a crew of four people for two weeks. On the last day of the 68th International Astronautical Congress (IAC) happening in Adelaide, Australia, aeronautics company Lockheed Martin presented their updated plans for a Mars Base Camp. The company first shared details on the orbiter in June 2016, a few months before SpaceX’s Elon Musk unveiled his own plans for a Mars mission. Today, they again beat Musk to the punch, presenting just hours ahead of the SpaceX CEO’s own updates on his company’s Mars mission. 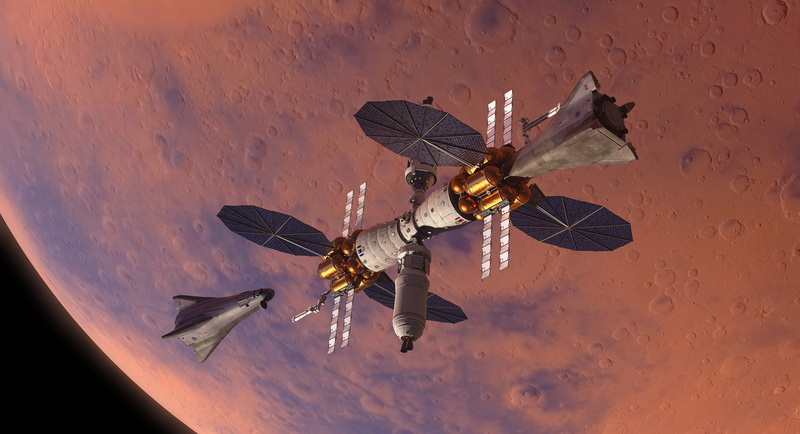 The Mars Base Camp is an outpost meant to float in orbit around Mars. It would hold a crew of six astronauts, who would be able to observe and study Mars to prepare for eventual human colonization. At “the heart and soul” of the station is NASA’s Orion spacecraft, which would be assembled as part of the Deep Space Gateway (DSG) — NASA’s cislunar orbiter. As Lockheed Martin’s presenters said during their presentation, “The path to Mars is through cislunar space,” and the DSG would act as the jumping-off point for Mars and beyond. Once the Mars Base Camp was in Martian orbit, the astronaut scientists aboard it would have a number of options for observing and even exploring the Red Planet. Integral to those missions is the lander Lockheed Martin unveiled during their IAC presentation. 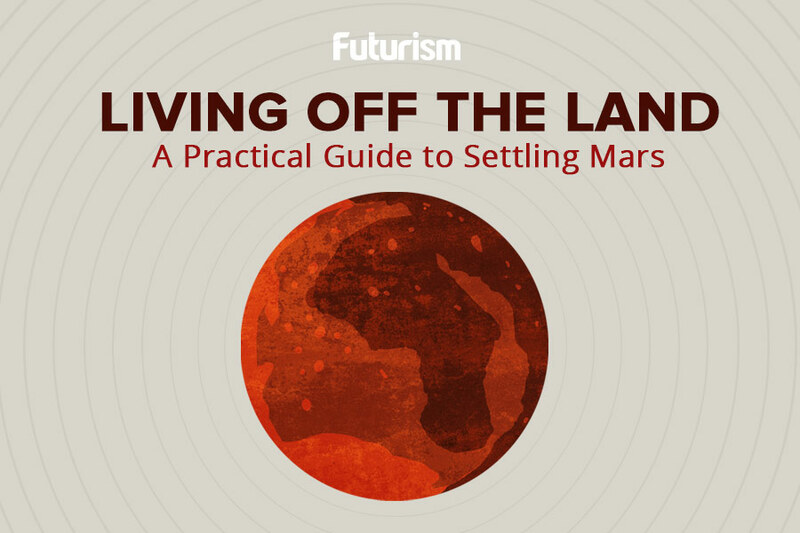 The plan is to send the reusable lander down onto the Martian surface on multiple occasions. “We designed a lander that can fuel in orbit, that has enough room to support a crew of four people for two weeks and then take off again,” Lockheed Martin senior systems engineer Robert Chambers told CNBC in an exclusive interview prior to the presentation. The presenters gave viewers a short run down of the lander’s specs during the IAC event. It can carry 80 metric tons of propellant, 30 metric tons of dry mass, and has a propulsion stage that could generate almost 60 kilograms (132,000 pounds) of thrust. Its crew cabin systems — life support, crew displays, avionics, etc. — are based on Orion’s own systems. In fact, both the lander and the orbital base camp can be powered by water. More specifically, Lockheed Martin plans to use cryogenic hydrogen as fuel for the lander. “You can fuel up in orbit and have enough for a two- or three-week stay on the surface with up to four crew,” Rob Chambers, one of the designers for the Mars Base Camp, said in a press conference before the presentation. So, it certainly looks like Lockheed Martin has a solid plan in place for Mars. During the presentation, they made it clear that the purpose of the Mars Base Camp’s first missions would be to conduct a more comprehensive survey of Mars and Martian space. The ultimate goal, though, is to find a place where humans could eventually settle in.